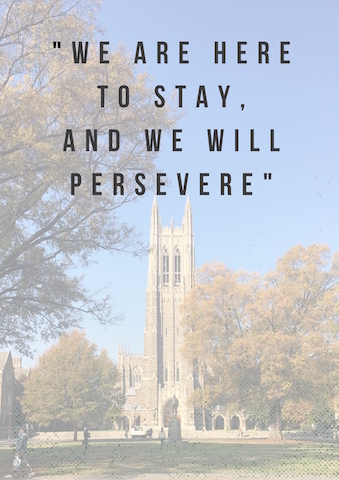 In light of recent events, DukeEngage Alumni and Duke CAC Advisors have shown their support for their fellow students on campus. They utilized the Duke Chronicle to share a message of unity with their classmates. Daisy Almonte is a currently enrolled merit scholar who came to Duke as a high school advisee of the Duke College Advising Corps. Elizabeth Barahona participated in DE 2015 Tucson and Norma de Jesus participated in DE 2017 New York City.